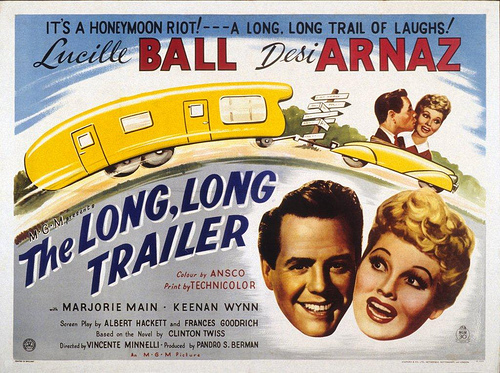 Vincente Minnelli takes on Lucy & Desi with "The Long, Long Trailer"
Many thanks to Michaela and the Love Letters to Old Hollywood blog for giving us the opportunity to write a little about the charming 1953 comedy The Long, Long Trailer as a part of the Vincente Minnelli Blogathon taking place this weekend. 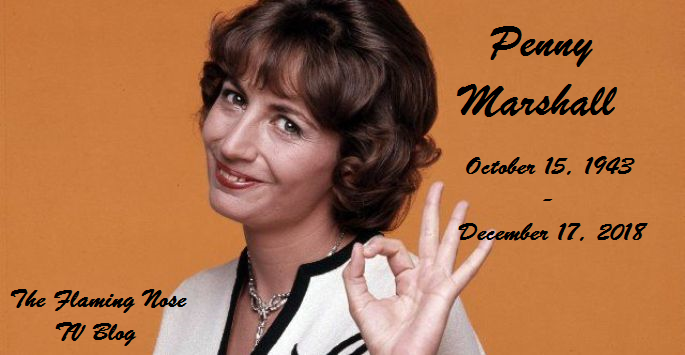 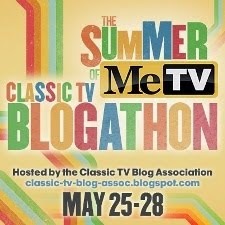 Be sure to visit her site and all the other terrific entries in this event! 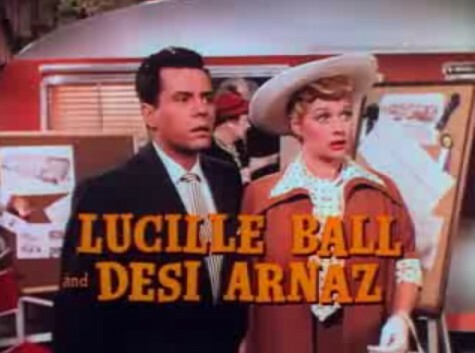 For a TV blog like The Flaming Nose, writing about Lucille Ball and Desi Arnaz is second nature. 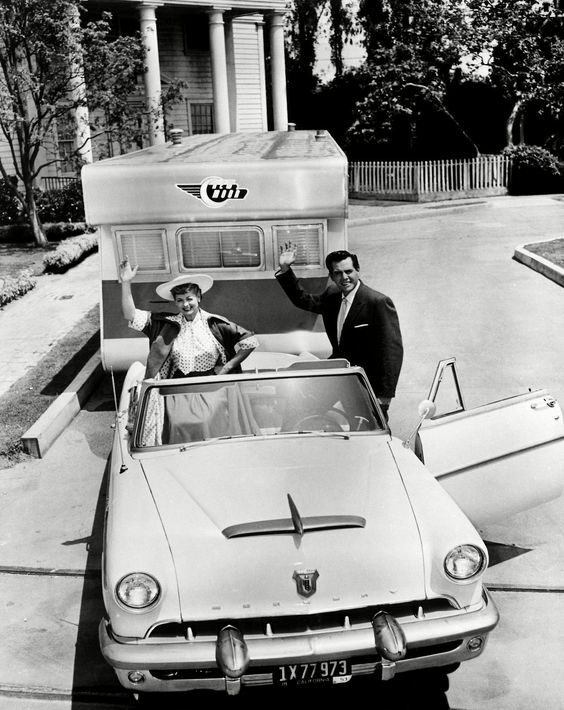 Especially for somebody who's a Baby Boomer, the ubiquitous presence of I Love Lucy on the TV set for the past 60 years is a given. 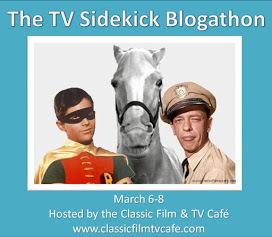 We grew up with Lucy and Ricky Ricardo and certainly spent our childhoods -- at least I did -- watching each episode countless times and never tiring of a single one. 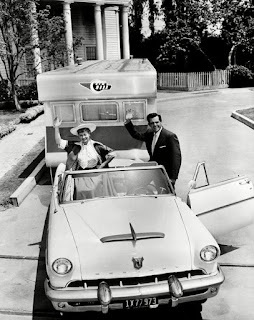 To place The Long, Long Trailer in its proper time-frame, the series I Love Lucy started on network TV in the fall of 1951. That same year writer Clinton Twiss published a novel called The Long, Long Trailer about the comic misadventures of a couple who buy a huge travel trailer. 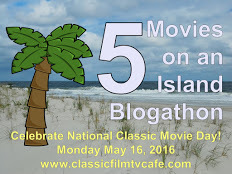 (You can read the novel here.) 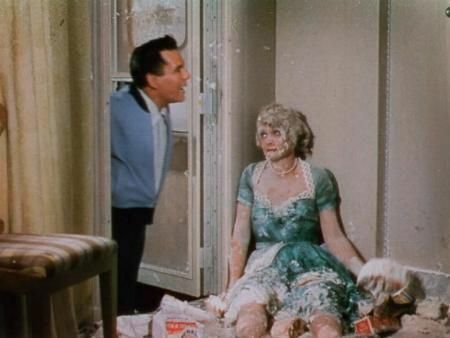 Three years after Lucy's debut, MGM -- the studio where both Ball and Arnaz starred and co-starred in many films years before their TV super success -- tapped acclaimed director Vincente Minnelli to helm the lavish Technicolor comedy. Minnelli, skilled in directing all genres, had the genius and nuance necessary to translate the enormous TV appeal of Lucy and Desi to the big screen, and without losing the sense that you were still watching the Ricardos even though in The Long, Long Trailer their names are Tacy and Nicky. Viewers who had fallen in love with Lucy's antics in I Love Lucy wouldn't be disappointed with this super-sized version of their favorite and seeing the Lucy/Ricky duo in glorious Technicolor was a big plus. 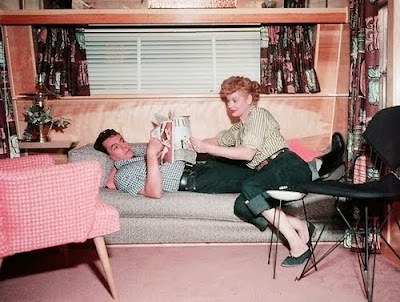 Really, The Long, Long Trailer is all about watching Lucy and Desi go through their well-known and loved paces. Nicky is not far from Ricky as he is overwhelmed by Tacy's enthusiasm at the idea of trailer life even as he's intimidated by the sheer enormity of the beast he's about to have tethered to the back of their car. 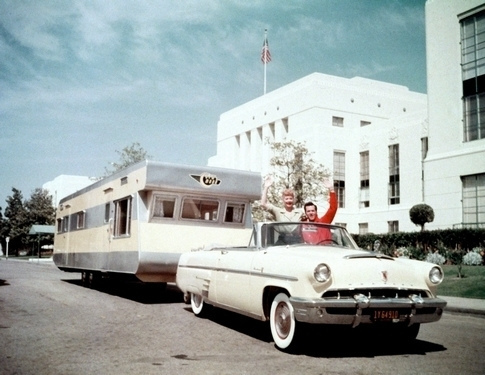 There's a recurring comic riff about the intricate process necessary to brake the trailer to a stop, as well as the to-be-expected and hilarious problems parking and merely driving the 40-foot monstrosity over the picturesque scenery in the movie. One of the genuine pleasures in The Long, Long Trailer is the snazzy mid-century American style seen to great advantage in the lovely color photography. 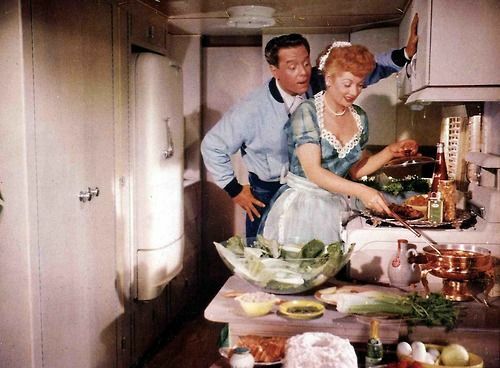 Truly scrumptious! 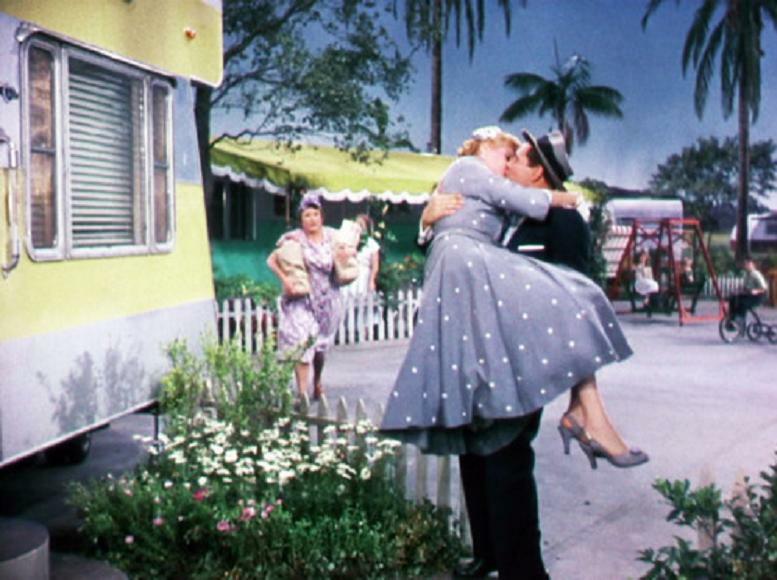 Also delightful is the cadre of character actors who are seen throughout the film, including Marjorie Main, Keenan Wynn, Madge Blake, Herb Vigran and many more. 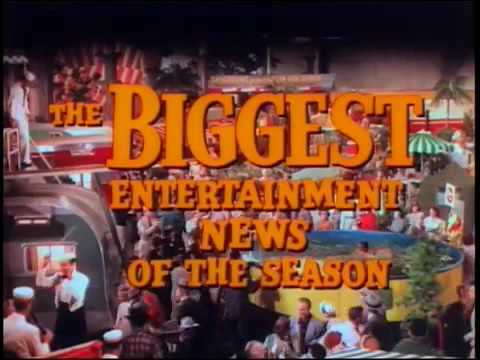 This is a real time machine of visual delights. 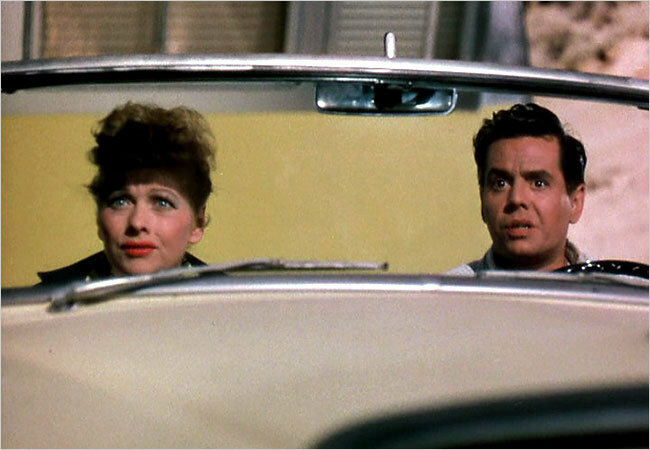 And it's absolutely watchable, especially so for fans of Lucille Ball and Desi Arnaz but also just as an example of a full-blown Hollywood Grade A comedy, and that's a special commodity. 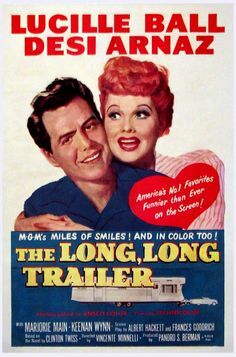 Even sans the I Love Lucy studio audience laughter (which you might miss a little during the slapstick moments), The Long, Long Trailer clearly delivers all the inherent humor. The presence of Vincente Minnelli made the movie more than it would have been under a lesser director -- more well-rounded, more human, more touching. 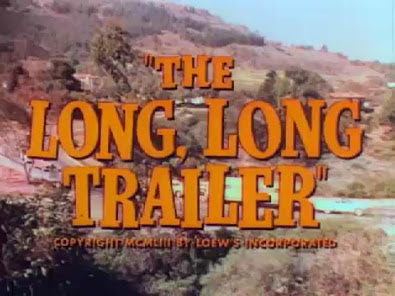 You can watch The Long, Long Trailer here online. 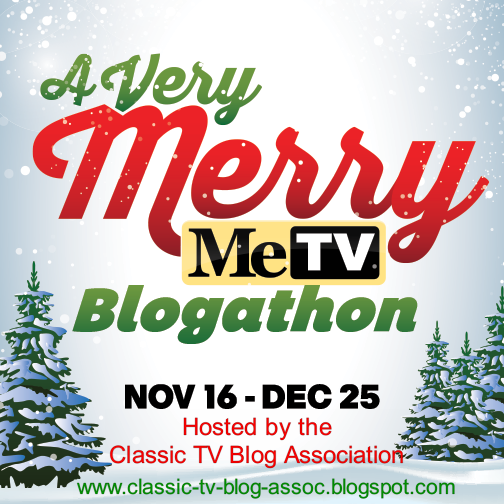 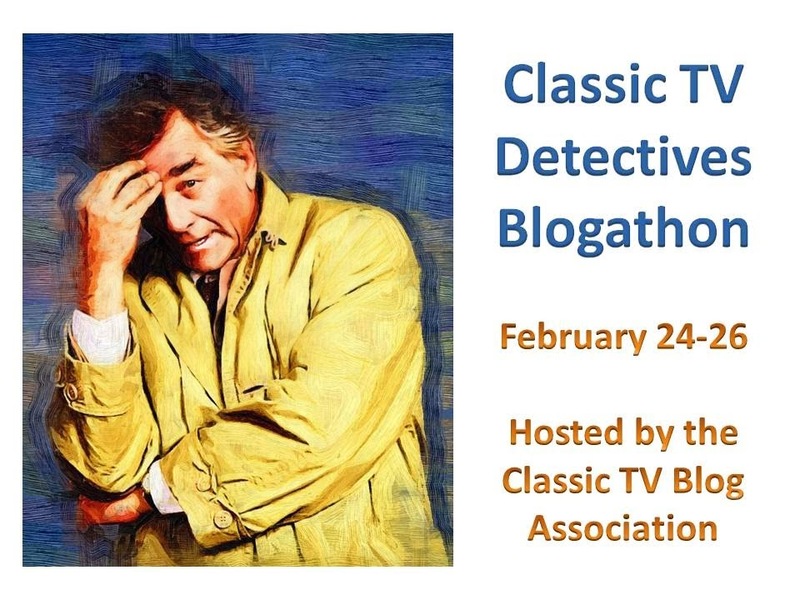 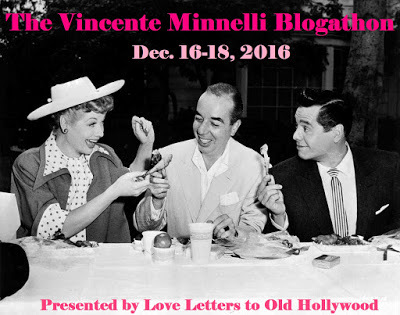 Thanks again to Love Letters to Old Hollywood for bringing the Vincente Minnelli Blogathon to life!